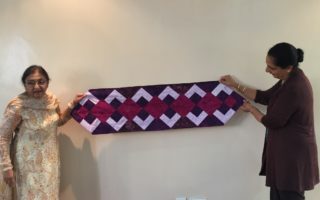 Activities and Events at the Kenya Quilt Guild & Pictures of Amazing Quilts. 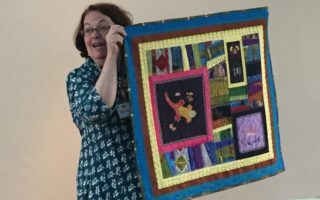 An incredible display of colorful and very thoughtfully planned quilts. The dachshund quilt showed love and care for a friend, blast of colours in a nine patch and snowball quilt for a darling daughter, full of love Bargello Heart, ShweShwe dress for a dolly, Gorgeous Giraffes, EPP patterns with African fabric and gorgeous decorated bras to commemorate Cancer Awareness Day. We had it all. 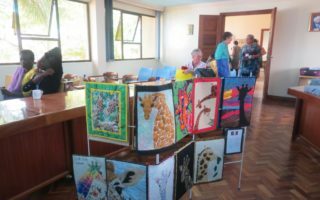 Pictures from the September 2017 Meeting of the Kenya Quilt Guild. 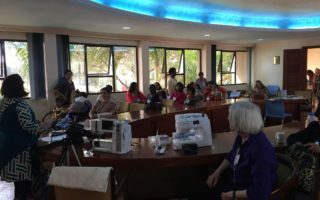 Here are a few pictures of KQG new member ID cards, a fabulous Show and Tell including some beautiful Kenyan fabric and a very informational workshop by Rohini Desai about “Machine Maintenance”. The Giraffe challenge was an amazing success! We had 20 entries, and they were all so different from each other, it was hard to pick a favorite. Next year’s Quilt Guild calendar will be our best yet! 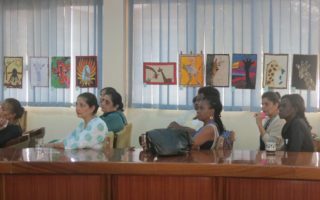 Pictures from the Guild’s May 2017 Meeting. 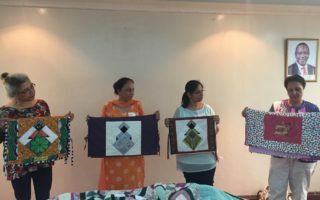 It was a beautiful Show and Tell like every month, from hand bags to table mats and some quilt tops. Enjoy the beauty of creativity with fabric.